The new-generation schools will include design and robotics labs as well as artificial intelligence (AI) facilities, stated HH Sheikh Mohammed bin Rashid Al Maktoum, Vice President, Prime Minister and Ruler of Dubai. He was speaking while visiting educational institutions at Fujairah and Kalbaa in Sharjah. These schools will also be equipped with healthcare and environmental labs along with sports facilities, he stated. Sheikh Mohammed also launched a plan to transform the Higher Colleges of Technology into economic zones and approved a Dh100-million fund to nurture student projects and support the career development of 65,000 students in the hospitality, retail, oil and gas and logistics sectors. "Our aim is to introduce a range of new ideas in the next 50 years and foster the development of the new generation, which will accelerate our sustainable economic growth," said the UAE Premier. "The new generation needs to adopt different approaches and tools for the future," he stated. "When people have doubts due to economic volatility, we accelerate development, and when they are afraid of the future, we further raise our commitment to build it. We have created a vision for our nation’s development over the next 50 years," he added. Sheikh Mohammed visited a number of education facilities including government schools - Al Furqaan Primary School for Boys and the Martyrs School 1 in Kalbaa - and also the Higher Colleges of Technology and reviewed their development plans. 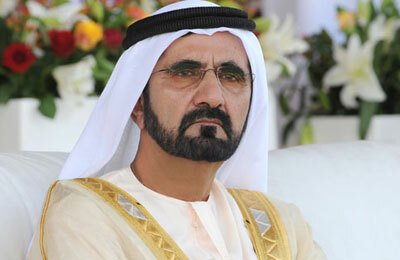 On the new fund, Sheikh Mohammed said it has been created to support student projects is in line with the Fifty Year Charter launched earlier this year. He also issued directives to create specialised technical academies within colleges that support students who want to change their careers. This will help boost the country’s economy by enabling talented individuals to keep pace with technological developments. The academies will be open to both students and those who want to upgrade their professional skills in line with job market requirements.